If you are trying to improve your smile this summer, we have multiple options available for you. Whitening is the easiest way to make your smile look better, but there are also braces, and even implants that you can chose from as well. These procedures are great ways to make your smile look amazing and to even boost your confidence and oral health. However, make sure you find great Dental Services in Richardson, Texas such as ORCHID Family Dental. Whitening is a basic service that many dental services offer. When you come in for a routine checkup or cleaning, your dentist will typically give your smile some whitening assistance. This service is great because every time you come to the dentist, your smile will look even better! If your teeth are in good condition but are a bit yellowish, then whitening may be the only thing you need to have a pearly white smile. Are your teeth crooked? 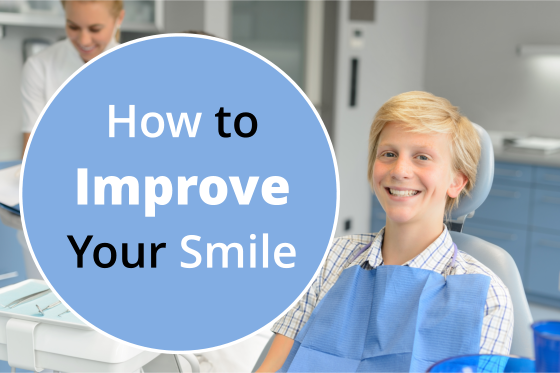 If you are bothered by your crooked smile and you are looking to improve the alignment of your teeth, then you will want to make sure you can get braces. Braces are designed to straighten out your teeth so every time you smile, they will look perfectly straight! There are also different options available for you such as Invisalign if you do not want to have metal in your mouth. If you have missing teeth, this can not only affect the way your smile looks, but it can also affect your confidence as well. However, there is still hope! Through implants, we can fix your smile. The best part is the fact that implants look and feel like the real thing. Replacing a tooth that you may have lost has never been easier! If you are interested in finding out more about our services and how we can help you get the smile of your dreams, please visit our website orchidfamilydental.com for more information. Also, if you have any questions that you would like to ask us, please give us a call now at 972-424-3555. It is time to get the smile you have been dreaming of your entire life! This entry was posted in dental care, oral health and tagged cosmetic dentistry, dental care, dental health, dentist, family dentist, general dentistry, gum health, mom-approved dentist, oral health, teeth whitening, Vitamins and Minerals for teeth. Bookmark the permalink.